The All New JMR Podcast Episode #1! This podcast (a audio mp3 file which you download) can be heard a few different ways. You can right click here and save it to your computer. You can listen in the play button below, or you can subscribe via iTunes and iTunes will automatically download the new show and put it in your iTunes podcast list. 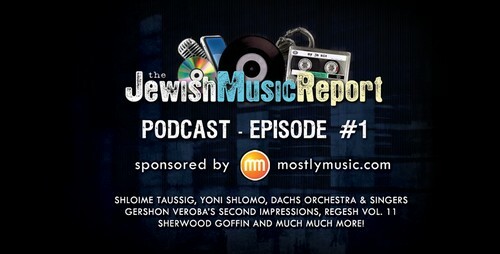 On this debut episode the guys bring you brand new exclusive debut music from Shloime Taussig, Yoni Shlomo, Gershon Veroba’s Second Impressions, Shloime Dachs and Regesh Volume 11. They also play songs from recent hits such Yisroel Werdyger, Miami Boys Choir. The JMR also debuts Hanging With the Sheichet, a short segment highlighting the recent audio interview of Shloime Taussig .